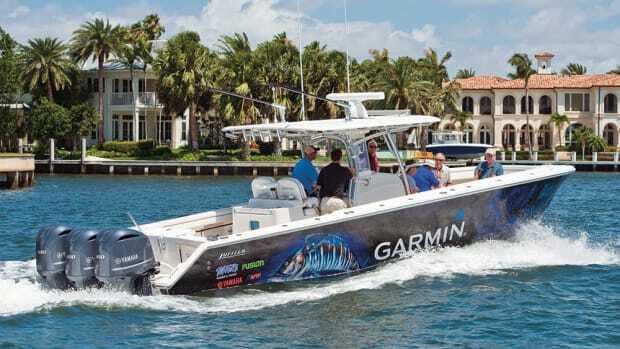 Advances in marine electronics, including GPS and electronic charts, computer-aided design and gyro stabilizers, have transformed the on-the-water experience, making boating safer and more enjoyable. Marine sales rose 18 percent for the full year. Battery technology needs to evolve for electric propulsion to compete with gas or diesel. The company secured an exposed database to correct the problem. 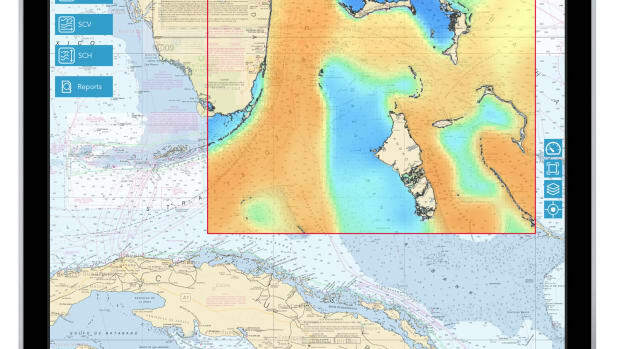 C-MAP is offering boaters in the United States and Canada free charts. 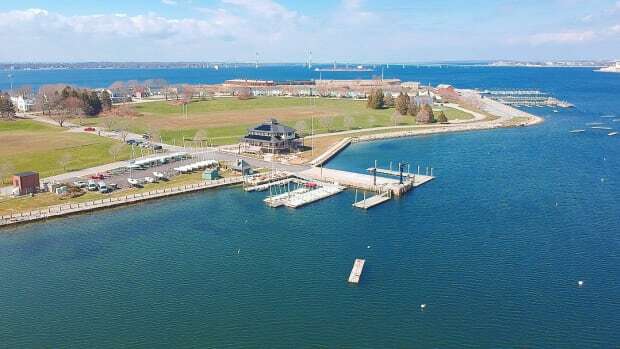 The long-term agreement includes distribution in the U.S., Canada and international marine audio markets. Cvedia develops machine-learning applications to give sensor systems artificial intelligence. 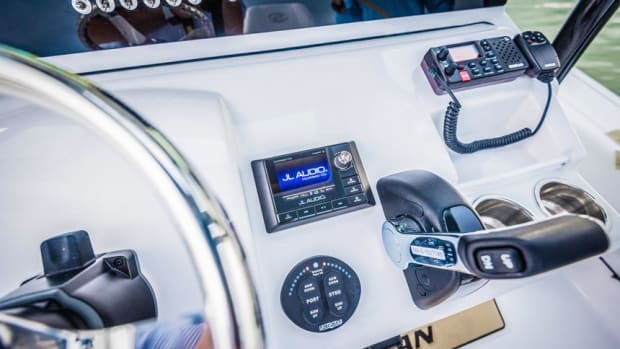 Fusion Entertainment, which manufactures marine-focused stereo and entertainment equipment, has added Apple AirPlay functionality to its Apollo Series marine systems that it introduced earlier this year. 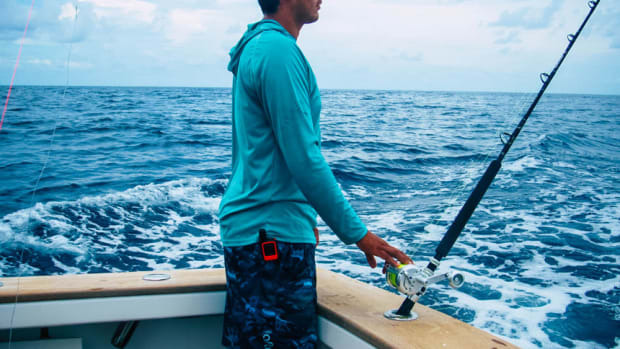 Technology and satellite communications company Mazu has launched a sportfishing app that seeks to give anglers weather and sea state information, and provide powerful communications capabilities via satellite. Sportsman Boats has extended an agreement with JL Audio for three years as the company’s exclusive audio partner for model years 2019 through 2021. When a load of journalists took a ride on a Grady-White Freedom 325 with Fusion Entertainment’s new Apollo stereo system, marketing manager Marcus Hamilton played a song that was considered a “good challenge” for its components. Garmin International, Inc., announced the inReach Mini, a smaller, more compact satellite communicator with available two-way messaging. 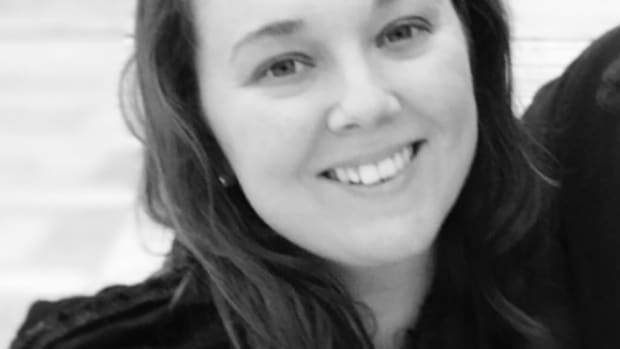 Founders Drew and Gina Reger have expanded their business from a walk-in store to a national business with online and phone sales. 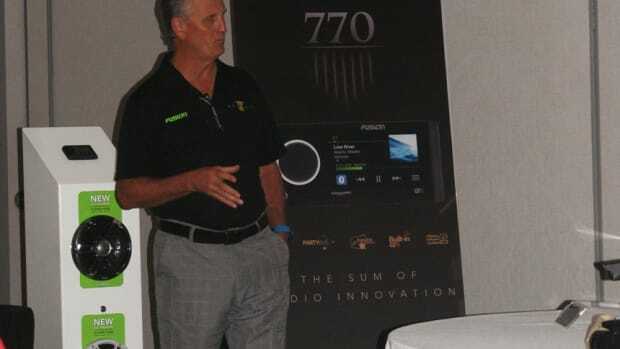 Fusion, the New Zealand-based manufacturer of stereo equipment, introduced two head units during a media event today at the Bahia Mar Yachting Center in Fort Lauderdale, Fla.
Siren Marine LLC announced a partnership with Sail Newport, an organization dedicated to promoting the sport of sailing, providing affordable sailing instruction and attracting new people to an activity and lifestyle that is distinctively Newport. 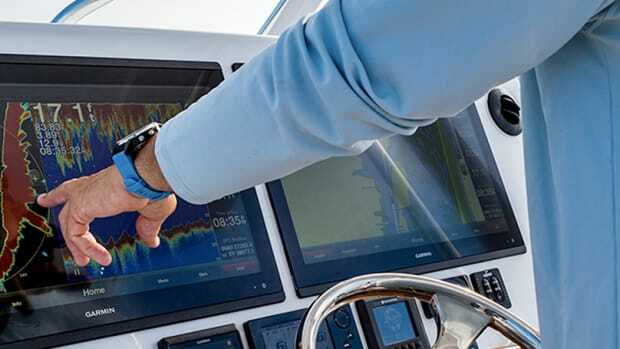 Siren Marine has added features to the MTC Boat Monitoring and Tracking system that make it easier for boat owners to access on board information from a phone, tablet or computer. 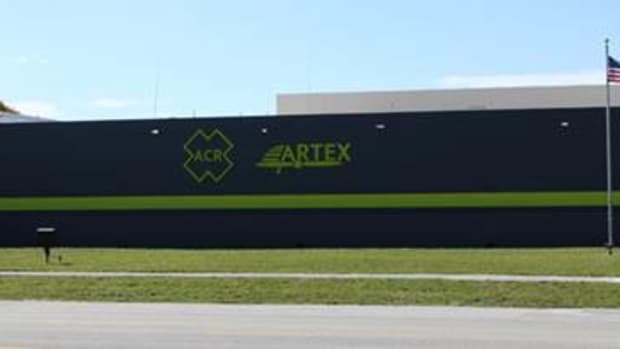 ACR Electronics, a manufacturer of survival gear for the marine, outdoor, aviation and military markets has been named South Florida’s Manufacturer of the Year. 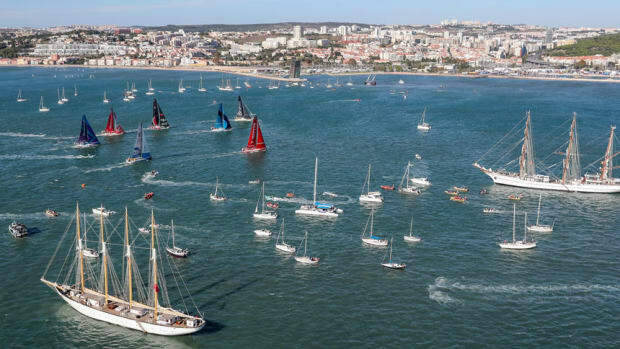 Vesper Marine’s Guardian AIS system was selected by Volvo Ocean Race organizers to mark course perimeters for its in-port races. The Yacht Group will exclusively sell and develop ACR Electronics searchlights called Yacht Beams. 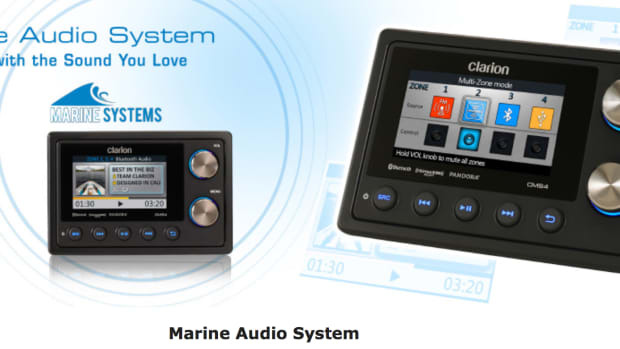 Marine electronics distributor Win-Tron Electronics said Clarion Marine Systems will join its lineup of products. 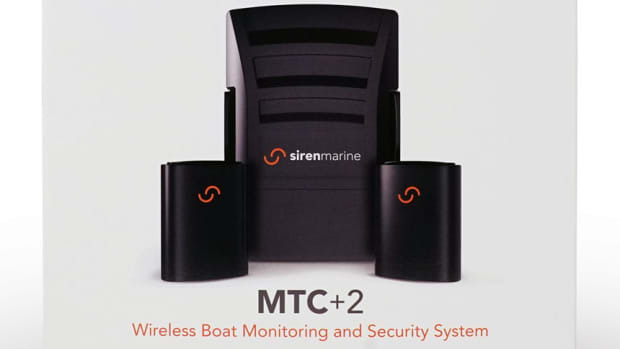 Technology manufacturer Siren Marine LLC has established new business partnerships with West Coast Sales, Gulf Atlantic Marketing Inc. and Bruce Hackett Sales to market Siren’s boat monitoring and tracking technology, known as the Siren MTC Connected Boat system. 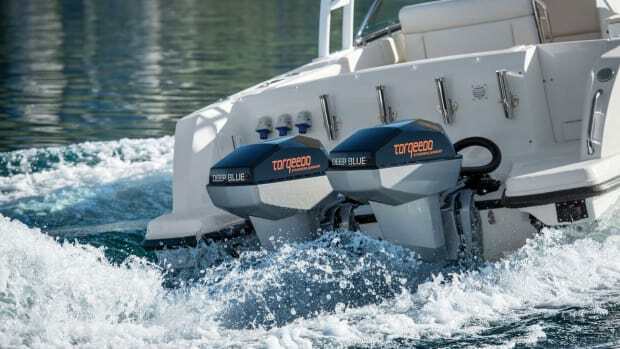 Fusion said it has partnered with Sea Pro Boats to offer marine entertainment systems, speakers and amplifiers on all 2018 Bay Series and Center Console Deep V Series boats. CDI Electronics and Balmar have chosen William F. Miller & Associates to represent the companies’ products in the South.